Alan Ezeir has established a track record of success in domain names, online commerce, telecommunications, and several other fast-paced entrepreneurial/start-up environments. After over 26 years of startups, Alan has taken the next step in his career by diving into the acquisition world. Circle Square Capital has been formed to acquire businesses that have $1-$5M in EBITDA, with the objective to take the baton from the previous founder and grow them to the next level. Previously, Alan was President and Founder of Domain Cost Club (division of GDI), the first and only registrar in the world to offer all domains at cost with zero markup. DCC’s at-cost pricing applies to all domain transactions including new domain registrations, renewals, and transfers. He successfully sold this division in September of 2016. Alan was also President and Founder of Global Domains International (GDI), the official Registry for the dotWS Top Level Domain. GDI was founded in November 1999 and launched the dotWS Registry four months later in March 2000. dotWS domains have been established in more than 220 countries and owned by millions of customers.With the sale of DCC, he also sold GDI in September 2016. Before founding GDI, Alan founded Planet Earth Communications where he managed all accounting, financial, contractual, and operational functions. Prior to PEC, Alan was the head of USVT, a switchless telecommunications reseller in Northern California. USVT developed a broad distribution base throughout California and increased monthly revenues by a record six-fold under Alan’s leadership. In 1991, Alan founded Intelligent Communications Management (ICM), a business responsible for helping small to large scale companies determine the most proficient telecommunications carriers to suit their requirements. He earned his Bachelor’s Degree in Political Science from UCLA. As a hobby turned business, Alan also established a local fitness center in 2004 in La Jolla, the city where he began his career and proudly continues to raise his family. He has been married since 1997 and has 2 children. 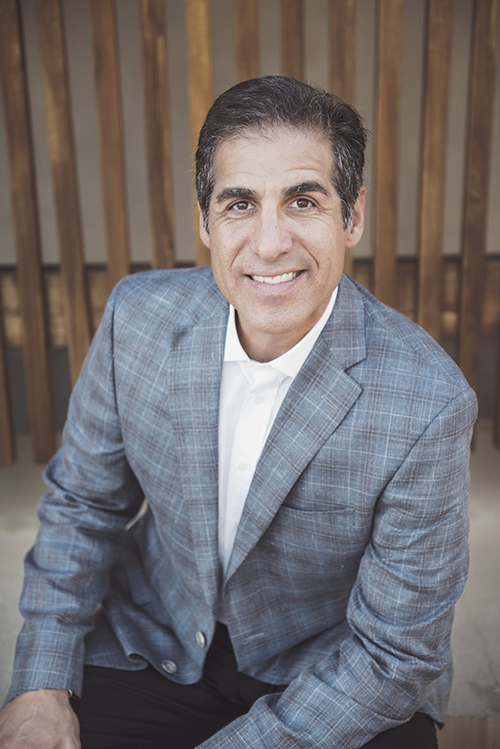 Alan is an active member of the Young Presidents Organization (YPO) since 2002 and the founding alumni President of the Southern California Entrepreneurial Academy Alumni Association (SCEAA): an organization that works closely with the development of entrepreneurs in Southern California. SCEAA facilitates mentor relationships by pairing emerging entrepreneurs with established, successful ones. Alan is involved with a number of philanthropic causes throughout San Diego. He was a founding member in the redevelopment of the New Children’s Museum in downtown San Diego and contributes to numerous charities including the Sundt Memorial Foundation and Augie’s Qwest. Alan has been honored to speak at some of the United States’ finest universities including the UCSD Rady School of Management. Alan was also invited to present to the Johnson Graduate School of Management at Cornell University on the topic of being an entrepreneur in today’s economic environment. Over the past several years, Alan has made investments in several industries including high tech and green technology (collectively over 15 investments). He was one of the founding investors of ecoATM which was subsequently acquired by CoinStar for $350M. A passion for Tequila, Alan became a known collector with over 250 tequilas. He does taste testings and education in the world of tequila and has traveled to the region to learn more about Agave spirits. One day this passion may become a multi-tiered educational platform for the spirit and or a club. It’s not enough to just write a check. If you can’t follow through and do the work then you don’t give yourself a better chance to succeed. We love the road of business and would like to hear your story.